Well I just finished up the Central City off-road series in Joplin, Missouri. 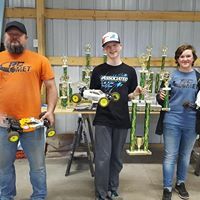 It was a really hard fought battle in the 2WD class that would come down to the last race of series with 3 of us tied for the 1st place spot before last event. 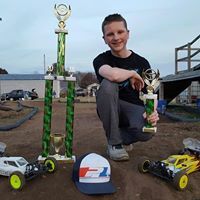 In the 2WD Buggy class I was able to TQ for the A-main feature race, that would put me in a 1 point lead going into the A-main feature. In the 2WD feature race I would have a great start but halfway through the race made a mistake that would cost me the lead. For the last 3-minutes of the race I would chase down the leader to finally be able to catch the leader on the last 2 laps of the race and hold on for the win. This would put me in 1st place for the series by 1 point. In the 4WD buggy class I was also able to have great qualifiers and TQ for the A-main feature event. In the A-main feature I would have a great start and go wire to wire for the win. I would end up in 3rd place for the series, but not bad after having a dnf in 1 series race and miss out on another race entirely. My Pro-Line tires worked great on this loose track surface over the entire 5 race season. 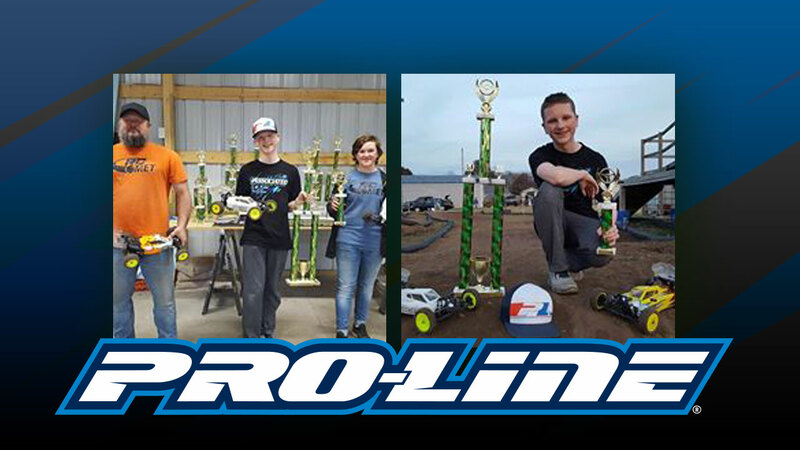 Thanks to my sponsor Pro-Line racing and there great product to help keep me on top.